Trading Like I’m Shootin’ Fish in a Barrel! +$3,086! What’s up everyone? All right, so here we are another green day. This has been a solid week. Let’s see what I’m sitting at right now. We’ve got four green days this week, so four green days in a row because I lost $116 on Friday, but hey, four green days in a row, I’ll take it. $19,000 in profit in four days, and just like that, I’m back to all-time highs on the month, up $72,000 right now. That means $36,000 is going out to charities in honor of Memorial Day, which is really exciting. I want to encourage you guys to give back as well. It’s part of a Warrior Trading give-back challenge for this month. But yeah, just really solid four days of trading, and hopefully it keeps up. We’ve still got about nine days left in the month, and 100K is within reach as long as we keep seeing good momentum. I need to have a couple of $10,000 days to really get to that 100K spot. $30,000 in 10 days, $3000 a day average, that doesn’t seem too bad, but I have to figure, there will be at least one red day. It’s unlikely I’ll have another 10 green days in a row, so that means to compensate for the red day, I really need to be more like $4000 a day average on the green days. That way, it makes up for the red day, so I’ve got my work cut out for me but 100K is the goal and that means I’ll be giving away $50,000 to charitable organizations this month. 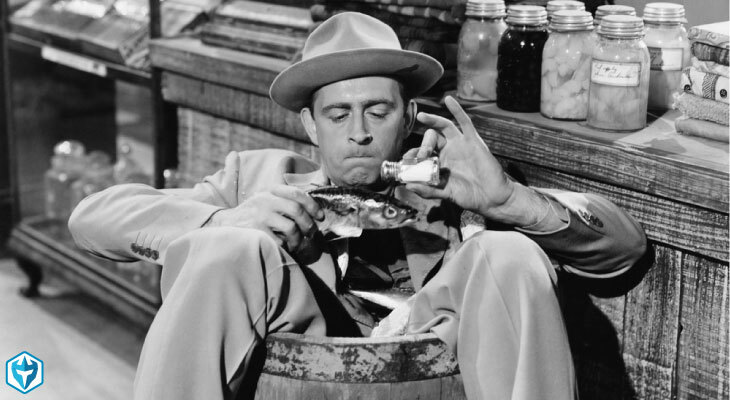 All right, so let’s break down all of today’s trades in today’s mid-day market recap. All right, everyone, so we’re going to break down our trades from this morning, finishing the day up $3,086, which is not bad. Today was a little bit choppy, though. I had $1900 of profit in my main account and $1100 of profit in the IRA. Today’s the first day back in the IRA since that loss last Wednesday of $2800 so I’m digging my way out of the whole in the IRA. I was up over $20,000, dropped down to 17,700, so tomorrow I’ll be at like 18,800. Working my way back up, started the month in this account around 19,000, so still about, I guess … No, it’s close to 19,500, so I’m still a little ways off the highs of this month. I’d like at least that I don’t finish the month down in the IRA, so I still have two weeks left for a couple more trades and see if I can get myself back up above 20 grand by the end of the month. So a little bit of profit there, and then 1900 in the main account, so $3000 on the day, 19,000 on the month … Sorry, 19,000 on the week, 72,000 on the month, which is pretty awesome. So 72,000 divided by two is 36,000 going out to charities this month, which is pretty cool. All right, so let’s see. Trades from today, like I said a little bit of a choppy start this morning. BLNK was on the watch list again. This one, it is not easy to trade, and it was funny because I took my very first trade on it and I lost $7, which is the exact same amount that I lost yesterday on my first trade. I got in with like 2500 shares at an average of 8.31 and I sold it at 8.31, basically break even. Then we have MOTS. MOTS, it’s our scanner. Let me pull the scanner back up. All right, so MOTS hits the scanner, and kind of like yesterday, surprise stock pops up, hits the scanner. Yesterday it was IHT, today it was MOTS, so I see MOTS hit the scans, boom, I jump in it. We had an immediate squeeze, and this is the one I jumped in with the IRA. I saw it right around $6, I put the order to buy. I think I tried to buy, I don’t know, I guess 2500 shares, and it ended up getting halted and I filled only 900. I filled 900 shares at 92.95 and 603 … Again, this is the way it is with interactive brokers. I would’ve filled the full order with Light Speed. Absolutely, I would’ve filled a 2500 share order, and since I sold at 7.34 and 7.11, I would’ve made 2500 bucks, absolutely no doubt about it. But, active brokers, the fills through the IRA are incredibly slow and so I only made 1100, so disappointing there but whatever. It is what it is. So got in at 5.92 just before the $6 break. It then squeezed up and hits a high of 7.85, so sold on the move up, took profit pretty quickly. I jumped in it with my main account. I didn’t get filled into the halt, but I got in after the halt at looks like 7.03, 7.15, 7.17 and 7.46. So on that first trade, I made a little bit of money selling at 48 and 35, but it didn’t do that well and I stopped out at 7.06, so I actually lost $1100. I was getting in for this one-minute micro breakout, but you see it didn’t hold and it did a false break and then dropped back down. Yeah, luck of the draw. Basically flat on the name between the two accounts, but I’d rather have the profit in this account because this is where I really need it. This should’ve been more if I’d gotten my full order filled, but whatever. 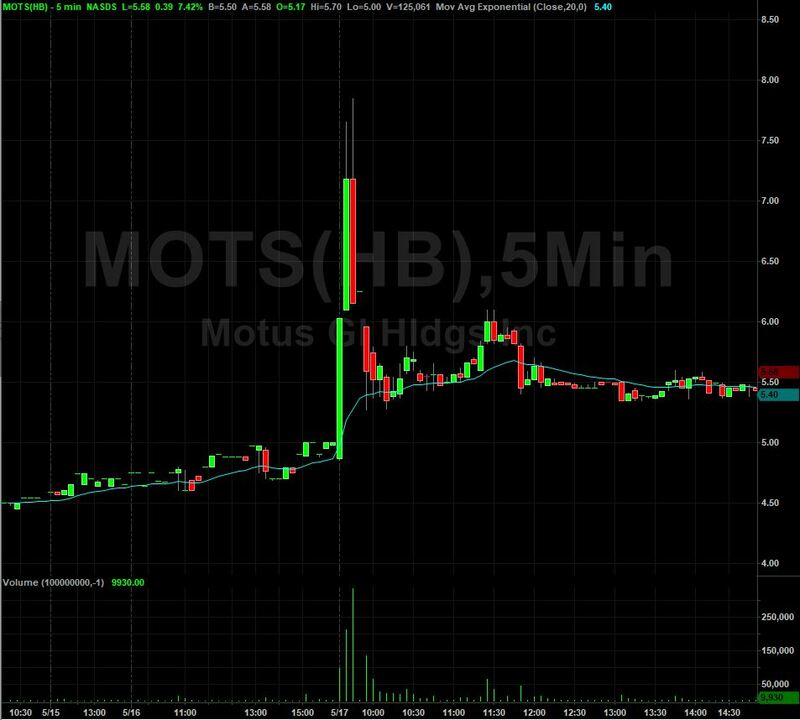 So that was MOTS. In between that order, or that trade, we had a quick little scalp on MBVS off the scanners, jumped in at $2, sold it on the spike up to 2.11, 2.12. I think we hit a high of 2.18, but it didn’t really hold up very well. So a lot of kind of pop-and-drop action. Popped up, sold off. Nice [Warwick 00:07:16], right on. Yeah, CARV, BLNK, MOTS, those are the ones today. CARV is the one that really made my day, but 500 on MBVX. I had … How many shares did I have? Let’s see. 10,000 shares? Or no, 7400 shares. Got a partial fill. 7400 shares from 1.99, sold at 2.08, 2.09, the rest at 1.99. Small winner. 550 bucks is not bad. Then we had CARV, C-A-R-V. This one we had on watch pre-market because it was gaping up, but right at this point of the day when I looked at it, literally it had a spread of like 4.10 by 4.80. I was just like, “I obviously cannot trade this, so I’m just going to look at other stuff,” and I traded other stuff. It then pops up and it gets halted. It squeezes up to, what was it, it squeezes up to 5.74, and it’s halted. It resumes, it taps a high of 6.48, pulls back and then surges up, and I jumped in at 6.42, 6.50, 6.64, 6.86, 6.97. I was being aggressive. This was being aggressive, but I kept getting partial fills and that’s because the stock was moving really, really fast. So even though I put out orders for 12,000 shares, I only filled about 4000. Sold half at 7.24, sold more 7.24, added back at 7.26, so it popped up here, adding in this area. It then squeezes up to 7.59, added more at 7.80 which was high of day was 7.85, so that was a little bit of a high add, and I stopped out at 7.75 and 7.60, so I lost like 200 bucks there. I went from being up about 2000 on this trade to being up maybe 1700. All right. 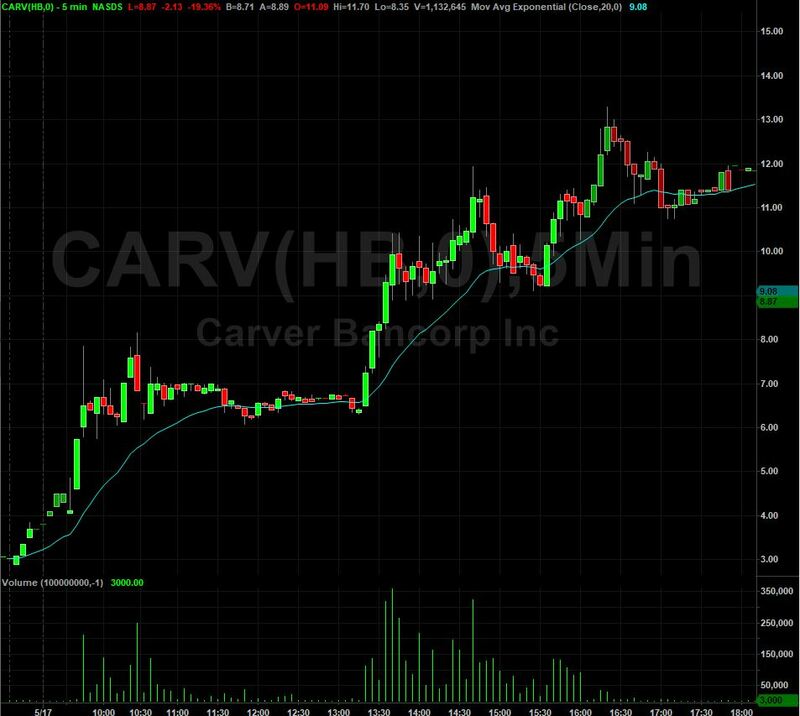 Then, I got back in CARV for, what was it, it goes first five-minute candle to make a new high right here, 6.50. It pops up to a high of 7.09. As you can see, I added at 6.67, 76, and 7. Sold at 6.07, 6.98 and 6.91. Again, it kind of just didn’t open up. I kept adding thinking it was going to be a bigger move, and that didn’t happen and it dropped back down, so just a little bit of profit there on that. Then, this final move here, as you can see, the second break over $7. I was a little slow to jump in that, but I was able to scalp it on this move from 7 all the way up to 8.15. So, really some nice action there. I scalped the resumption of the halt, and it got halted at 7.01. Resumed, low of 7.16, and then squeezed up to 8.15. That was my last trade of the day, jumping in at, let’s see, getting in at 7.50, selling at 7.70. Adding at 7.88 and 7.98, selling around 8.14, 8.11. Then the rest at 7.59. 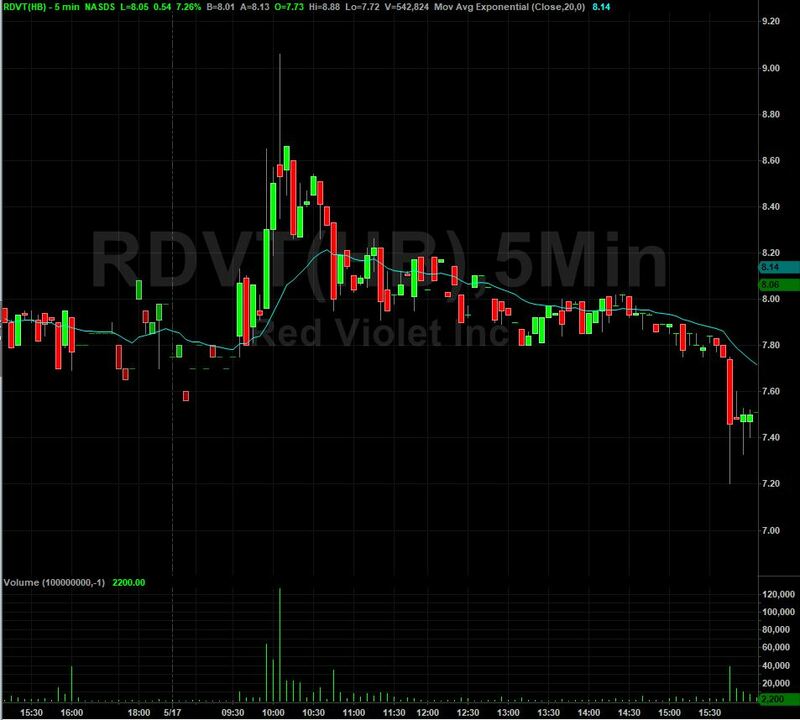 That was good, and then the one blemish on the day is RDVT. This is a good size loss, a $1900 loss. On this one, it was on the scanner squeezing up, and I looked at this and I thought the daily chart looked really interesting because you can see here, above this level of 10, it has this huge gap all the way to $29. So I thought, “Geez, if this thing is pulling back and now breaking out on the daily, it could look really good,” so I jump in at $9 thinking it’s going to continue higher, and I just got in right at the high. It popped up to 9.06 and then dropped all the way down to 8.35 and I lost like 45 cents with 5000 shares. So jumped in at 9, tried to sell some at 9.05, filled 500 shares. Sold the rest at 8.65 and 8.49, so that was pretty ugly. I was just wrong on that, but overall today, accuracy was pretty good. I’m trying to see exactly what my accuracy was. I had today a total of two, four, six, eight, ten trades and eight winners. So ten trades … Oh, no. Actually, the $7 loss, so ten trades, seven winners, 70% success and $3000 of profit. Not going to complain. That’s a good day. Another solid day of trading. May has really been a very strong month. We’re sitting 72,000 on the month right now. It’s my fifth best month of all time. Wait, fifth? No, fourth best month of all time right now. It’s my fourth best month of all time. If I get over 85,000 it’ll be my second best month of all time. If I break over 117,000 it would be my best month of all time. We’re still a solid 40,000 away from best month of all time, but 47,000, so I don’t think that’s going to happen, but you just never know because even in April … Sorry, in January when I had my best month of 117,000 it was the last week of the month. I had one, two, three, four days left in the month, and I was sitting right around 80,000 on the month. I was like, “80,000. This is a good month. I might be able to break 100K.” Then on Friday, I made 18,000. Then Monday, I made 9,000. Tuesday, I made $13,000. Just like that, I went from 80K to over $110,000, so there’s hope. There’s always hope. Right now, we’ve still got, let’s see. How many trading days do we have left? One, two, three, four, five, six, seven, eight, nine, ten. Ten trading days left in the month. Oh, well we’re probably going to have a day off for Memorial Day. Nine trading days left, still we’ve got time. We’ll see what we can do. It’s really a matter of what the market is willing to give us. If we have good opportunities, I’ll capitalize, but if it does get a little slow, then I’ll have to ease up a bit and be content with smaller green days. All right, so that’s it from me here. 88th day of the year, 276,000 on the year, 72,000 on the month, 19,000 on the week. Not bad at all. All right, so that’s it from me. I hope you guys have a great afternoon, and we’ll be back at it first thing tomorrow morning, 9, 9:15 for our pre-market analysis. All right, I’ll see you guys in the morning. If you’re still watching, you must’ve really enjoyed that video, so why not subscribe and get email alerts any time I upload new content? Remember, when you subscribe, you become a member of the Warrior Trading family.